Warning: in this post, I get unbelievably excited about an organization method. You guys! 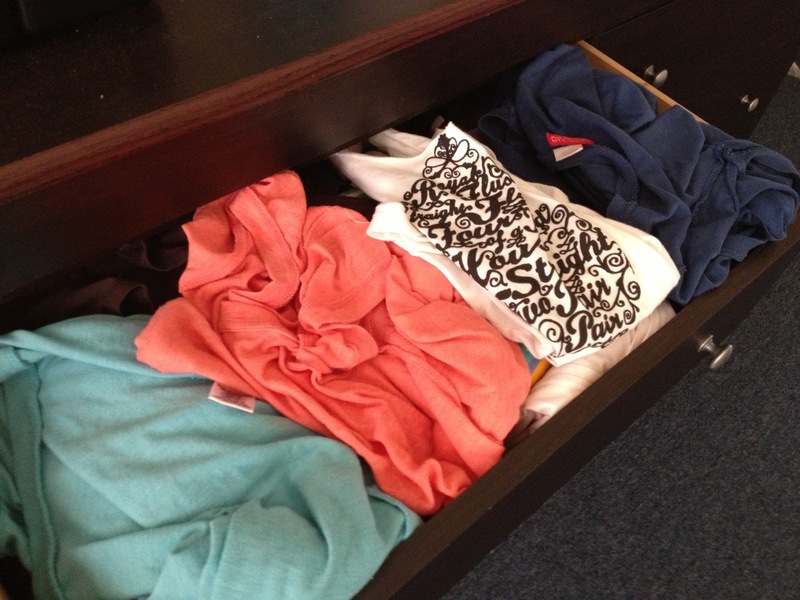 My life has been changed forever by a new, improved way to organize clothes drawers. While visiting my brother and sister-in-law, I happened to glance into their clothes dresser and my reaction was something like this, “WHAT IS GOING ON THERE, AND WHY DID I NOT KNOW ABOUT THIS BEFORE? !” All of their clothes were not stacked in normal piles, but folded in horizontal rows like a filing cabinet. My mind was blown by how much more sense it all made. You can see all your clothes at once, and never have to dig around again! You can see every piece of clothing at once, therefore allowing you to find the item you want to wear. There’s more space. My drawers were stuffed to capacity before. But look how much more room appeared in the after picture…magical! You will discover all those lesser-used clothes that used to get buried underneath everything else. More to wear! You can cycle through all your clothes. After doing laundry, I put newly folded clothes at the back of the drawer, so I can visually see what has been worn most recently. 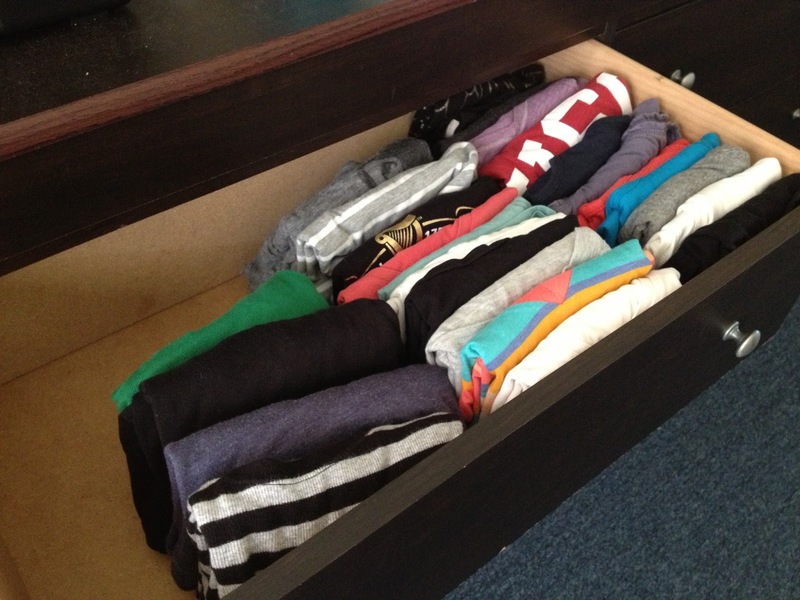 Clothes stay neatly folded. After rifling through the piles, my folded clothes used to get strewn about, causing everything to be all messy and wrinkly. Now, they remain in their happy little space like books on a shelf. I love this sort of thing! Definitely going to do this. Omg. I need this. Now. Thanks! Absolutely love and need it! This is a GREAT idea! Cynthia is doing this right now! Thanks so much for sharing. Okay, I need to try this…I was just lamenting about how I can't find anything in the drawer. Total mess! Good, I'm going to try out this method. Thanks. 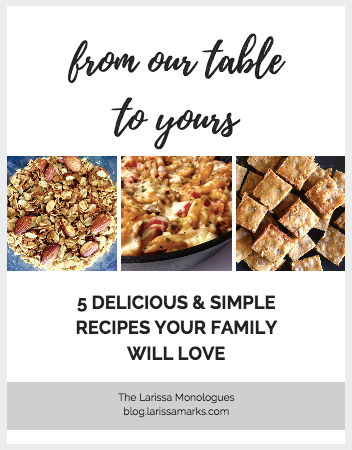 I've been doing this ever since I read it in your blog a couple months ago – and I love it! Wish I had known about it sooner! Like when I was a kid!